BUSH - BOTTOM MK I - FRONT SUSP. WASHER - THRUST - PINION MK I / MK II - REAR AXLE & REAR SUSP. BEARING - PINION - OUTER MK I - REAR AXLE & REAR SUSP. PLUG - DRUM - RUBBER MK I / MK II - REAR AXLE & REAR SUSP. WASHER - LOCK - BEARING RETAINING MK I / MK II - REAR AXLE & REAR SUSP. RETURN SPRING - BRAKE SHOE - ABUTMENT END MK I - REAR AXLE % REAR SUSP. 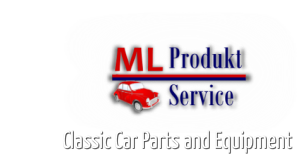 RETURN SPRING - BRAKE SHOE - CYLINDER END MK I - REAR AXLE REAR SUSP. THRUST WASHER -DIFFERENTIAL WHEEL MK I / MK II - REAR AXLE & REAR SUSP. WASHER - TOE MK I / MK II - REAR AXLE & REAR SUSP. OIL SEAL MK I / MK II - REAR AXLE & REAR SUSP. BEARING - PINION - OUTER MK I / MK II - REAR AXLE & REAR SUSP. BUSH - ROAD SPRING MK I - REAR AXLE & REAR SUSP. OIL SEAL MKI - REAR AXLE & REAR SUSP. BREATHER MK I / MK II - REAR AXLE & REAR SUSP.